Step back in time with White Rene tunic. 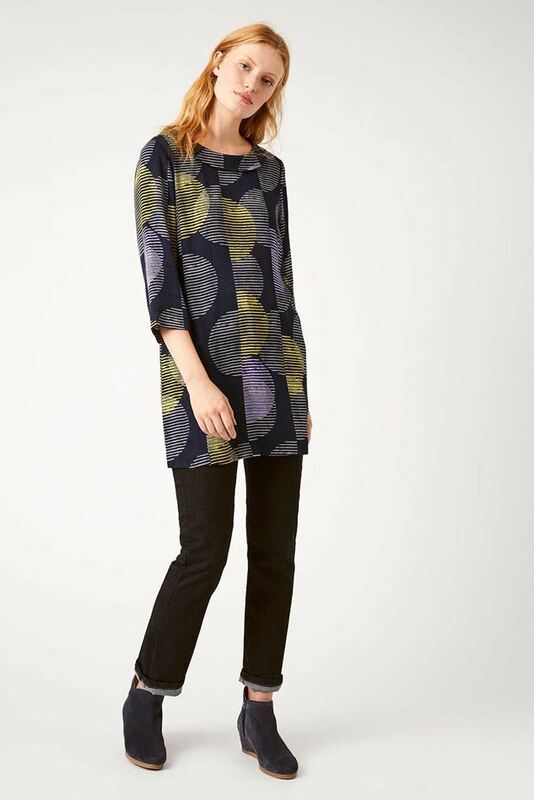 Featuring a rolled collar, 3/4 length sleeves and a graphic print, wear this relaxed fit, retro number with jeggings and flats and you’re good to go. They fit like skinny jeans but are comfy like leggings, is it any wonder why White Stuff's Hazel jeggings are a bestseller? They’re made from extra-stretchy dualcore fabric that still keeps its shape.